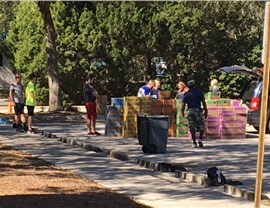 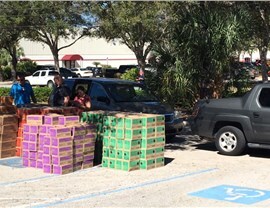 This year’s event took place on Saturday, February 11th with our distribution services beginning at 8:30 a.m. and ending at 1:00 p.m. We received over 23,000 cases for Bradenton, Sarasota, Venice, and Port Charlotte—approximately 276,000 cookies! 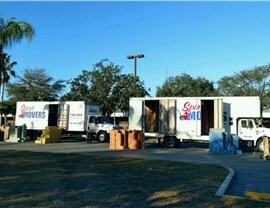 Employees arrived at our Sarasota location beginning at 4:00 a.m. to ensure that all the orders were pulled, loaded, and ready to go so they would get to Venice and Port Charlotte in time. 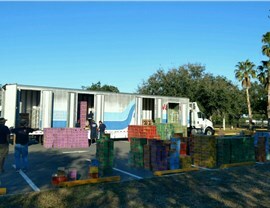 Loaded orders into the vehicles for safe and secure transport!